An Bord Pleanála decided to uphold the planning permission granted by Longford County Council for the development of Center Parcs’ Longford Forest holiday village on a 405-acre site in Newcastle Wood, near Ballymahon. Martin Dalby, CEO of Center Parcs, said the company welcomes the news. Since we announced our desire to bring the Center Parcs experience to Ireland last April, we have been overwhelmed by the positive support we have received at both local and national level and we are looking forward to forging ahead to bring our plans to fruition. The company believes that Center Parcs Longford Forest will have a “transformative effect” on the midlands region in both tourism and economic terms. The next step for Center Parcs is to move to the procurement phase of the project which will be followed by construction. The planned opening date is in 2019. It is noted that Longford and the midlands region are currently underdeveloped in terms of tourism infrastructure with limited guest accommodation in Longford. The woodland and ecological benefits of the proposal are also outlined. In terms of roads and traffic it is considered that subject to compliance with conditions that the proposal is satisfactory from a road safety viewpoint. Three third-party appeals were received by the board, relating to issues such as scale and design, that they believed the brochure imagery was misleading, the presence of a nearby landfill dump, and concerns about tree loss and traffic. 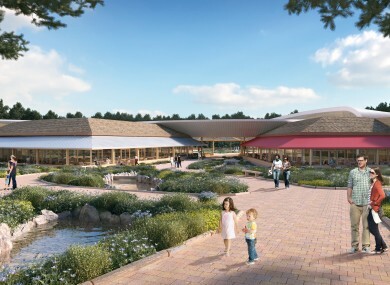 Center Parcs Longford Forest will create approximately 750 jobs during construction, and once open it will cater for up to 2,500 guests and employ up to 1,000 people in permanent jobs. The company expects that most of the roles will be filled by employees between the ages of 18 and 24, with the majority of them likely to live locally and in the surrounding midlands region. Center Parcs estimates that, when operational, the new holiday village will add approximately €32 million to Ireland’s GDP per annum. Center Parcs offers short breaks in a secluded and natural woodland setting. Center Parcs Longford Forest will have up to 500 lodges, more than 100 indoor and outdoor activities, a spa, a range of restaurants and cafés and a Subtropical Swimming Paradise, said the company. The company said that Center Parcs Longford Forest “will have a dedicated team of Conservation Rangers who will protect and nurture the beautiful woodland”. Longford/Westmeath TD Deputy Kevin ‘Boxer’ Moran said the decision to give the go-ahead to Longford Forest Center Parcs is ”a major vote of confidence in the region”. He said that he hopes that the news will deliver a permanent boost to the local economy, comparing it to “an Intel or Google coming to the midlands”. The company operates five short break destinations across the UK: Whinfell Forest, Cumbria; Sherwood Forest, Nottinghamshire; Elveden Forest, Suffolk; Woburn Forest, Bedfordshire and Longleat Forest, Wiltshire. Email “Center Parcs gets green light for €233m holiday park in Longford ”. Feedback on “Center Parcs gets green light for €233m holiday park in Longford ”.